Bad Company announce exclusive Live CDs of UK tour! with instant music specialists Concert Live on our forthcoming UK tour dates. at the shows for fans to purchase and take home straight after the concerts! and the Live CDs will be available after each of these shows as well as throughout the duration of the tour. These CD sets are presented in deluxe 3 disc digipaks and are strictly limited edition!! pre-order and choose to have it delivered to your front door. Worldwide delivery available! Paul Rodgers' long career and from the '68-'73 era of Free and '73-'82 era of Bad Company. Introduced by Johnnie Walker. You'll be able to watch video of Bad Company's Radio 2 concert, from 2300 on Saturday evening. 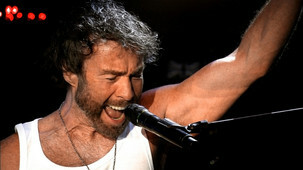 Rob Birnie's in good company with legendary frontman Paul Rodgers this Saturday night. As Bad Company are set to embark on their first tour in nearly a decade we thought it was time we caught up with frontman Paul Rodgers. Paul is in the studio with Rob on Saturday to talk about his extraordinary career, about his Bad Co / Free Best Of and about reuniting with Bad Company. Don't Miss it - You will be sorry !!!! Special guests on the tour will the the Joe Perry Project. Now remember I am not a writer or know the first thing about doing some kind of review, But hears how I saw the gig, hope it paints some kinda picture for you. Were sitting in the front row on a balcony that seats about 80 people, overlooking the 250 people below, Waiting for Bad Company to play a set for BBC Radio 2, How we got here, well thats down to a very special friend, Lucy Cheers from SwampFreaks. Kick, Snare, Rack tom, Flour Tom, Couple of cymbals, Thats his setup, a proppa drum kit for people that play hard, Beat perfect, Tight and loud never dropped a beat, Simple as that. Les Paul, Telecaster, Marshall Plexi, What a sound, Even though he came on later he just got straight into it, well thats what pros do, His riffs were cool and his solos were better. Again using Marshall, possibly vintage modern and I think PRS guitars; His style is simple, Play what is needed, nothing more nothing less, a true pro. Using Marshall bass amplification not sure of guitar possibly warrick, Most important though Bass hug low and denim top to bottom, played Mint, And by the end of the gig he had used every part of the stage. So you have to picture the scene, 2 northern lads raggy jeans long hair and check shirts looking like a pair of hippies out of the 70s sitting in the front row on a balcony that holds 80 people and Paul shouts into the mic, who got there tickets from Ticketmaster, Down stairs go crazy, Who got there tickets from the fan club again down stairs go crazy, Paul points up to the balcony and says So I guess you lot are from the Record Company and Management, HOW COOL IS THAT. Bad Company live at The BBC Radio Theatre,Portland Place,London W1. Invite only gig for 400 people.All seated with 300 comp winners downstairs and 100 guests of the band upstairs. Introduced by dj Johnnie Walker as their first full UK show for some 30 years.Not counting that semi acoustic show i saw at The Hard Rock Cafe to launch their UK arena tour a few weeks ago. On at 8pm for a 70 mins set.The first five songs are Paul Rodgers related inc "Wishing Well" and "All Right Now" which were both superb then Mick Ralphs joins them for sixth song "Feel Like Makin' Love" which is another rock classic and others "Run With The Pack","Shooting Star" and a superb "Cant Get Enough".Paul Rodgers voice is strong and clear as usual. The two guitars sound great.The encore was "Bad Company".An excellent show.Full setlist was "Wishing Well","Saving Grace","Satisfaction Guaranteed","Ride On Pony","All Right Now","Feel Like Makin' Love","Run With The Pack","Shooting Star","Electricland","Cant Get Enough","Rock n Roll Fantasy","Movin' On" and encore "Bad Company". Is that cool or what ?? Paul Young A great remix version of 'A Little Bit of Love', which is found on the album Other Voices. It features some funky guitar work from Nile Rodgers. Get everyone rocking with Rough Diamonds! The Road Runners were formed in 1963 in Middlesbrough. namely Colin Bradley, Micky Moody and Paul Rodgers. Paul Rodgers has released many a hit, both with Free and Bad Company, and now, thanks to a new compilation album, you can get all those classic tunes on one CD. Its aptly called The Very Best of Free and Bad Company Featuring Paul Rodgers and boasts 15 tracks including Cant Get Enough, Rock N Roll Fantasy and All Right Now. There will also be an exclusive iTunes deluxe version that boasts bonus material from The Firm with Jimmy Page, The Law and Pauls solo recordings. It all comes out on March 29th, but the CD will only be available overseas.